We’ve got the Sportshall season starting in October. 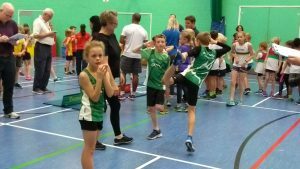 It’s essentially indoor athletics with sprints, jumps and throws for juniors aged between 8 and 14. Thanks for all your support and involvement last season. 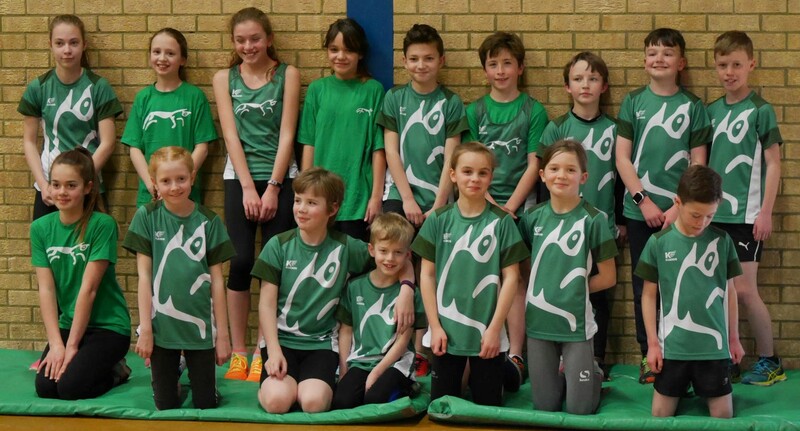 It was a fantastic to see so many of the junior Harriers enjoying the competitions. We’re planning to build on last season’s success and would love to see as many Harriers as possible. Please pop the following fixture dates in your diary. The events can be noisy with limited viewing. Please feel free to lift share with other parents or alternatively drop the juniors off with their friends and collect at the end. The coaches are comfortable supervising the team during the competition. It will be at the Bicester Leisure Centre, Queens Avenue, Bicester, OX26 2NR. Kick off is around 1.15pm, and it’s recommend you arrive a little early for parking, etc. 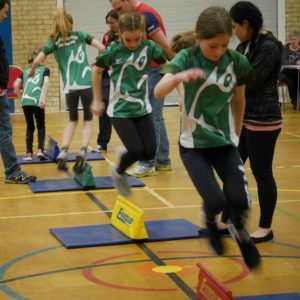 Sportshall is fun for the juniors, but it can be noisy for the parents and spectators. We’d recommend either bringing your swimmers and taking advantage of the pool, of dropping them off and doing a bit of shopping. 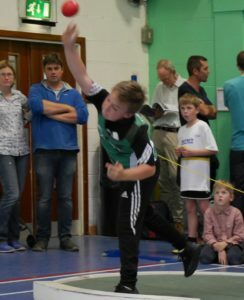 As it’s been popular, we’ll be doing regular Sportshall training on alternate weeks, starting as usual at 7.00pm at the Leisure Centre, but finishing half an hour later at 8.30pm. Tom will continue doing his endurance training session in parallel for those juniors who prefer cross-country.